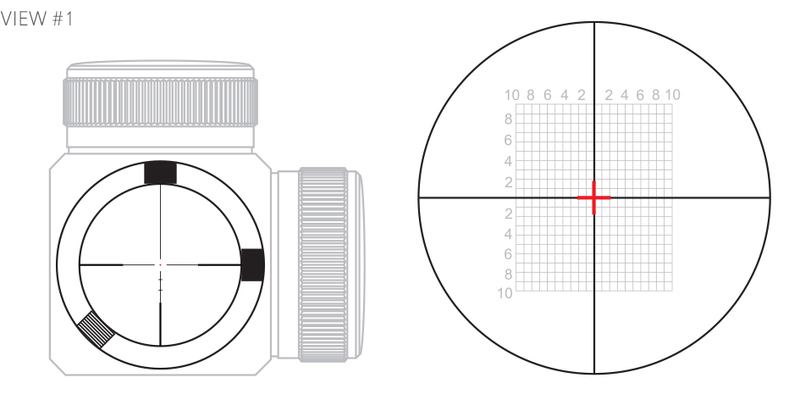 Loss of zero (aim), or lack of adjustment is quite common and 99% of the time the riflescope is not faulty but needs to be mounted and zeroed differently for perfect riflescope alignment. For more guidance zeroing your riflescope see ‘Setting up and zeroing your riflescope’ & riflescope guide from Hawke. This guide is designed to help you understand the inner workings of your riflescope and the potential problems that can occur if not mounted and zeroed correctly. 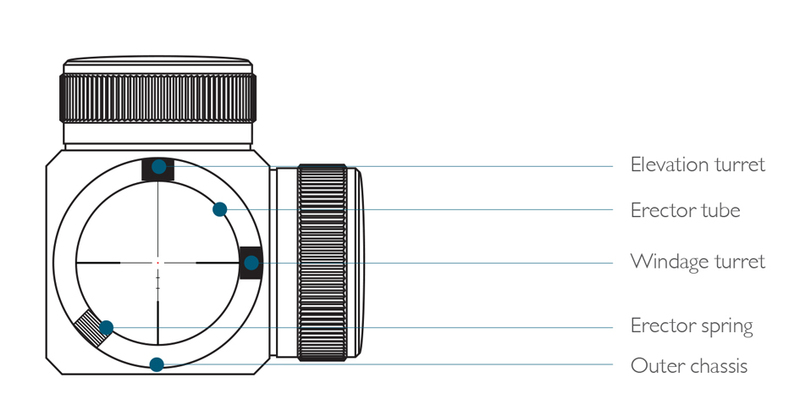 There is an inner tube inside the riflescope’s main body called the erector tube (see cross section below). This is held in place by the windage and elevation turrets and the erector spring. If the riflescope is even slightly misaligned in the rings while zeroing the scope, then you may end up winding your elevation or windage turret towards their maximum while attempting to achieve zero. 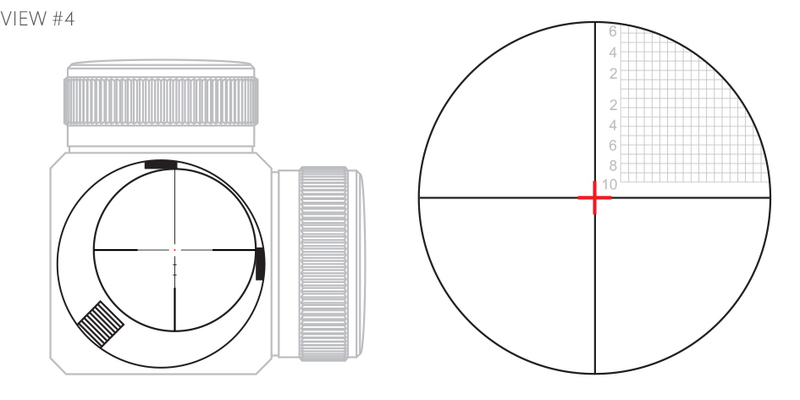 When the inner tube is misaligned it is common to experience loss of zero or lack of adjustment but this can be easily resolved by remounting and re-zeroing the riflescope. This is an internal cross-section view of the riflescope, as it comes from the factory in optical centre. The outer chassis and the erector tube are in perfect alignment. The elevation turret, windage turret, and the erector tube spring are adjusted equally. The windage turret has been adjusted too far left pinning the erector tube against the erector spring and the outer chassis. This results in limited elevation adjustment as there is no room for the erector tube to travel. The turrets have been adjusted too far down and right pinning the erector tube against the erector spring, windage turret, and the outer chassis. This results in limited windage adjustment as there is no room for the erector tube to travel. The turrets have been adjusted up and right far enough that the erector spring no longer supports the erector tube. When this happens, the erector tube holding the reticle “free floats” and you have Point of Impact issues. 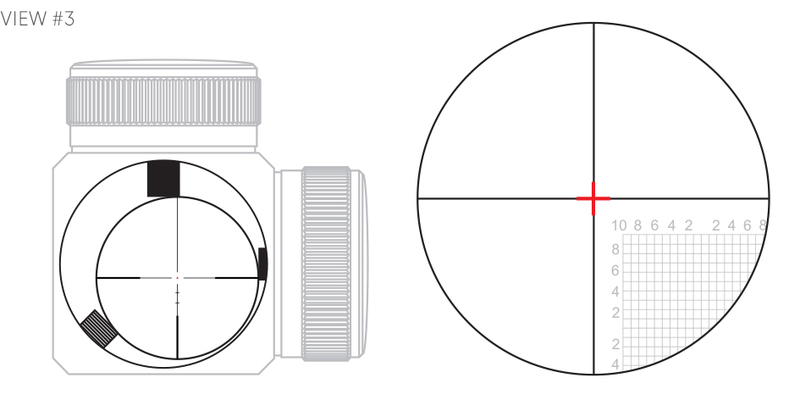 This is the most common of riflescope mounting issues. These possible problems are more noticeable when using riflescopes with a higher magnification, as a higher magnification riflescope generally means it has less windage and elevation adjustment available to achieve zero. To find your Hawke riflescope’s elevation and windage adjustment range visit hawkeoptics.com. If you require more adjustment than what is available, then Hawke Adjustable Ring Mounts, Hawke Ring Mount Inserts or a canted rifle base may be required. To resolve any problems, you will need to reset the optical centre, re-mount and re-zero the riflescope. Remove the riflescope from the ring mounts and remove the ring mounts from the rifle. Now rotate the scope within the V-block. Look through the scope as you rotate it. If it is not in optical centre the reticle crosshair will move in a circular motion as you rotate the riflescope in the V-block. To re-set optical center adjust the windage and elevation turrets. When the reticle crosshair rotates in one spot and does not create a circular motion, then the riflescope is in optical centre (see View #1 above). Next, mount the riflescope and rings on your rifle, follow Hawke’s guide to ‘Mounting your riflescope’ to achieve the correcting mounting position. 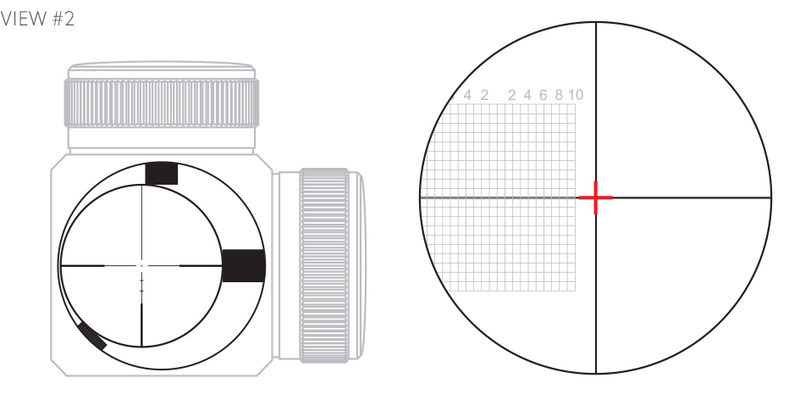 Next, zero your riflescope, follow Hawke’s guide on ‘Zeroing your riflescope’. Check to see how far the point of impact is from the point of aim. All set and ready to shoot! If more than a full rotation of turret adjustment is required to zero the riflescope, then stop and re-check the mounting of the riflescope. If possible try a different set of rings to establish if the rings are the cause of the problem. Hawke’s guide on ‘Selecting the right mounts’ will help. Alternatively, try to swap the rings front-to-back, or so the base screws are fitted on the other side of the rifle rail. If the point of aim jumps to the other side, then the rings may be faulty.